There is a Table Quiz in Kennys on this Friday night 11th December at 8pm in aid of the Ella Doran and Will O’Neill- strictly club dancing. On Sunday Dec 13 the walk will be at Avoca (Grade B, 10km 2.5 hours) meeting in Tinahely at 10.30. On Sunday Dec 20 the walk will is designated as a “mince pie” walk (yummy) and will happen at Stookeen Shillelagh (Grade C, 10km 2.5 hours) meeting in Tinahely at 10.30. Tinahely Christmas Fair,Community Hall, Sunday 13th December 11am-5pm in aid of KARE Tinahely.Fantastic array of craft and food stalls.Mrs Claus will be doing story telling for the children, face painting and carol singing on the day, so be sure to mark it in your diary! Congratulations to Anna Kimmins, Malton Park and John Shine, Cork who were married on Friday. Get well wishes go to Din Doran, Croneyhorn. Happy 21st birthday to Karen Naylor, Umrigar. Congratulations to Colaiste Bhride students Ronan Byrne, Eoin O’Donnell and Andrew Hughes who received UCD Entrance Scholarships after achieving outstanding results in their leaving cert, Ronan is studying Bussiness, Economic’s and finance. Eoin medicine and Andrew engineering, congratulations and well done. The annual Christmas baubles are on sale for Askamore Childcare Centre at €3 each or two for €5 from the school or any local shops, mass will be celebrated on 20th December in Askamore for all the names on the babules. The Parents Association of Colaiste Bhride, Carnew, Co Wicklow (formely known as Carnew Vocational School plans to mark the 80th anniversary of the opening of the school with an exhibition tracing the growth of the school from its orgins in 1936 up to the present day. The event is planned to take place in September 2016. The organisers are calling on past pupils, especially those from the early years to lend photographs, publications and other memorabilia for the exhibition. Items should be carefully labelled with the lenders contact details and handed in at the reception desk at the Main School office. All items will be carefully looked after and will be returned after the event. The next bingo will take place on this Sunday 13th December at 2.30pm in St Brigid’s Hall, Carnew, all welcome to come along. There will be a coffee morning on this Sunday at 11.30am in St Brigid’s Hall, Carnew in aid of Cormac Doyle and Tika House Strictly Come Dancing fund, all welcome. 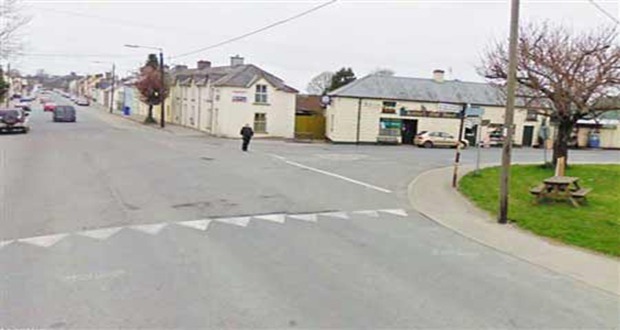 Sincere sympathy is extended to the family and relatives of Gerard (Ger) Whelan, Clara in Offaly and formely Coollattin Road, Carnew who died during the week, his remains were removed to Tomacork on Monday for 1pm, followed by burial in adjoining church yard. Carnew Emmets Pitch Development Committee would like to take this opportunity to thank all those volunteers who helped with the development work that was carried out during the year. An 800m walking track was laid on the outer perimeter of both pitches and with the final top dressing just laid recently, makes it a very enjoyable walk with a few small inclines here and there to get the most out of you while you exercise. The latest technology in lighting was fitted which allows the track to stay open until 9pm. The track is also wheelchair friendly. Another feature this year was the erection of the aluminium safety barrier at the face of the car park looking out onto pitch number 1. This makes it much safer for drivers and children alike. Both club houses got a face lift with a welcoming colour of paint. A sum in the region of 30k has been spent so far. But none of this would not have been possible without the Trojan work done by those who took part in the Strictly Come Dancing Competition. As well as giving us great entertainment they managed to earn a phenomenal amount of money. Strictly starts back again in February, so it is time to get out those dancing shoes and start practicing. All work to date has been done free of charge. A special word of thanks to those who supplied heavy machinery such as diggers, tractors, dumpers, cement mixers, rollers etc. While the men who turned up with their shovels, paint brushes and rakes were also appreciated and very much needed. To all concerned we wish you a happy Christmas and looking forward to another successful year both on and off the pitch. And once again thanks very much from Carnew Emmets GAA Club.